In 1810 the new horse-drawn Gloucester & Cheltenham Tramroad was connected to an existing system serving the quarries on Leckhampton Hill, before the modern street pattern was established. It passed alongside the site of the future Norwood Arms, which was built in 1821 by Samuel Kearsey on land that he already owned. The Inn was the only house in the vicinity at the time and a beautiful stream from Leckhampton Hill flowed past it (this has since been culverted). The Inn is named in honour of the Norwoods, Lords of the Manor of Leckhampton from 1486 to 1797. At the time of building, the surrounding area would have been a mixture of fields, hedgerows, farm tracks, tram lines, busy stone yards and the odd lime kiln. The new Bath Road from Cheltenham, which continued into what is now called Shurdington Road, was only completed in 1822 as a toll road, or turnpike. Near to the Norwood Arms were a toll house and a weighing machine for calculating the fees. The new road contributed to the southward expansion of the town and the Inn served the growing residential population and labourers in the stone yards. 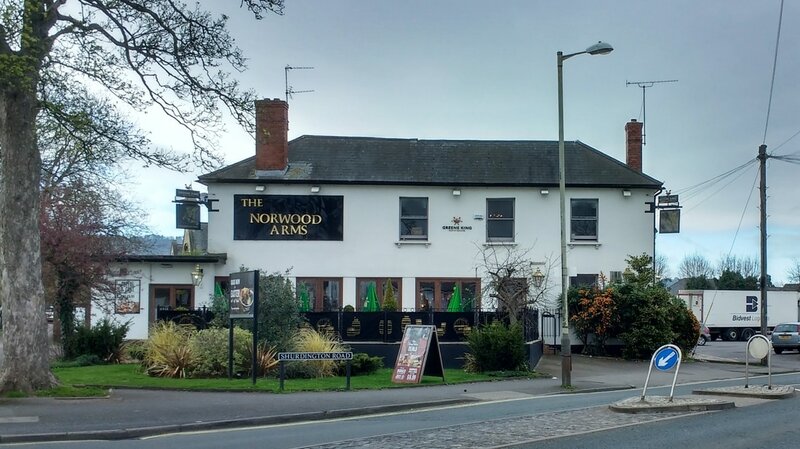 ​It was reported in the local newspapers on 22nd February 1827 that William Burrows, one of the earliest tenants of the Norwood Arms, was fined £2 for keeping his house open during divine service on Sunday. Two years later there was a daring burglary when some villains broke into the premises, described in the press as being "near this town", and stole a considerable quantity of bacon! The raid occurred at the dead of night and the burglars conveyed their plunder to Cheltenham in a cart, with a man running alongside holding a lantern. A peculiar form of entertainment was staged in the Norwood Arms Tea Gardens in April 1842, when Robert Sutton the "celebrated Kentish pedestrian" walked 50 miles within 12 hours, half of it backwards. Finishing the feat at half past eight in the evening, he then retired into the bar to show his friends some more of his dexterity (presumably involving a mug of beer!). ​But as well as the high excitement caused by such events there were also troubling accounts of crime and drunkeness. In May 1842 Wat Fleming was fined 5 shillings after being found lying drunk across the tramway next to the Inn at half past one in the morning. Apart from numerous auctions which were held here from the earliest days, the Inn was also a venue for public meetings such as coroner's inquests. One such occurred in May 1845 on the body of Ann Hill, wife of James Hill, a stone mason residing in Leckhampton. It was alleged that the husband had beat his wife but this was not thought to have led to her death, which was said to have been from "natural causes". Another, in 1848, concerned a young man called Edwin Tilly, from Edward Street, who worked at the Montpellier Baths (now the Playhouse). He had been fond of excessive drinking and had accidentally fallen into the swimming pool at the baths, resulting in a fever. He was determined to have died from delirium tremens. Over the years other landlords were apprehended selling beer outside of the licensing hours and received small fines. There were also occasional problems with the clientele of the Inn, such as in 1862 when William Jones, who described himself as a tramp from New York, refused to pay for his drink. The landlord, Mr Henry Vines, followed him to two or three other public houses where he used the same dodge. When arrested by the police Mr Jones apparently made use of "the most disgusting language"! Significant changes occurred in the early 1860s, firstly with the closure in 1861 of the adjacent tramway. (The owner of the quarries, Rev. C.B. Trye, retained a section of the line from the Hill as far as a wharf at Church Road, Leckhampton.) Then came the abandonment of the Bath road toll in about 1864, when the Turnpike House and weighing machine were dismantled and sold off. Also, in January 1864, an auction was carried out in the yard adjoining the Inn of the pews, doors, seats and interior fittings of St Philip's church. Later that same year an inquest at the Inn was convened to establish the cause of death of a haulier called Mr J. Packer. He had loaded his cart with 5 tons of stone at the quarry on Charlton Kings Common but the vehicle ran out of control and ran him over, killing him instantly. One of the horses was also killed and another so badly injured that it could not work again. 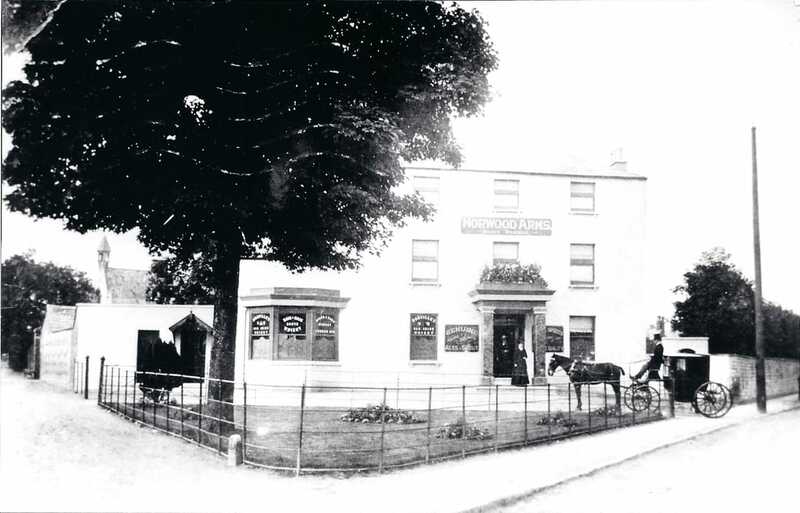 The Norwood Arms had stables throughout the 19th century and in 1882 John Smith, a haulier from Prospect Place, was charged with having stolen a truss of hay, a bundle of straw and a dandy brush (for horses) from the yard. He had a previous criminal record and was convicted and sentenced to 7 years penal servitude. ​After an interval of slightly more than 40 years trams were once more passing the Norwood Arms, with the extension in 1902 of the electrified Cheltenham and District Light Railway system to Leckhampton. Instead of the previous loads of stone and coal, line 7, which stopped here, carried passengers down into the High Street. ​By 1900 there was a brewery next door to the Inn. 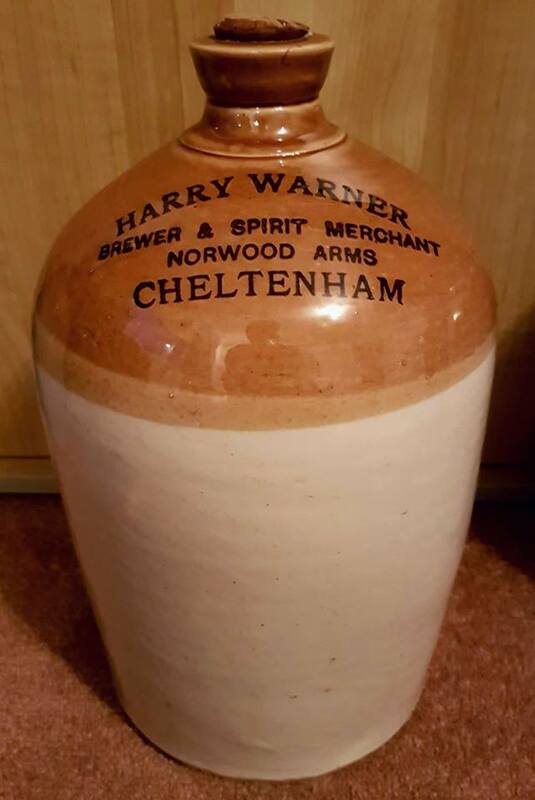 The Norwood Brewery was owned and run by Mr Harry Warner, who had an extensive brewery and wine business. He married former landlord Henry Vines' daughter, Gertrude, in 1879 and bought the Norwood Arms from him in the early 1880s. After retiring from the business, in 1906, he became a farmer at Guiting Power and died in 1935. Mr Warner was buried at Leckhampton church. ​The space in front of the Norwood Arms was often used for political or religious rallies and entertainments. In 1903 it was the starting point for the Hairdresser's Walking Match from here to the Lansdown Inn, via Shurdington. The prizes amounted to almost £7 and the competitors ranged "from master men to lather boys". A great crowd gathered to watch the start of the race and the Shurdington Road was lined with people for nearly a mile. ​The Women's Suffrage Society and the Women's Freedom League held a joint meeting outside the Inn in 1908, which descended into rowdiness and fighting in the crowd that gathered. Calm was restored by the police and meeting was successfully concluded. ​Other open-air rallies were held by the Independent Labour Party, the Liberal Party and the Cheltenham Conservative Association in the years before the Great War, and during the war there were several recruitment and morale-boosting rallies. 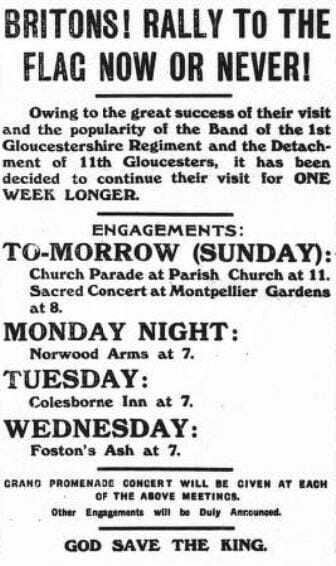 Cheltenham Chronicle & Graphic, 13th May 1916. 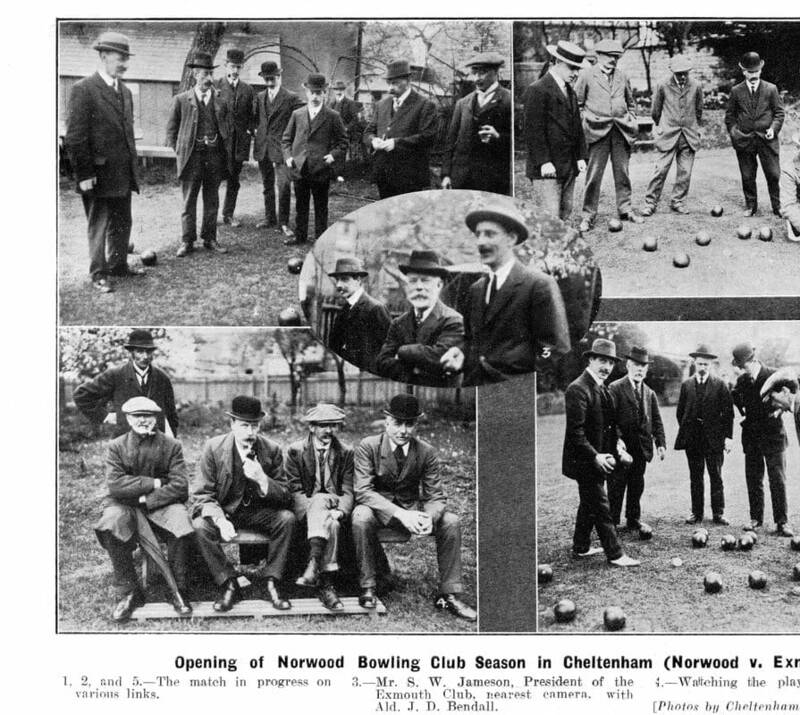 By 1922 the Norwood Arms had a dividend club, which was a popular means of saving for large expenditure, such as at Christmas. It started with 60 members but by 1935 this had grown to 600. Again, the landlord Mr Kilmister was the club treasurer. 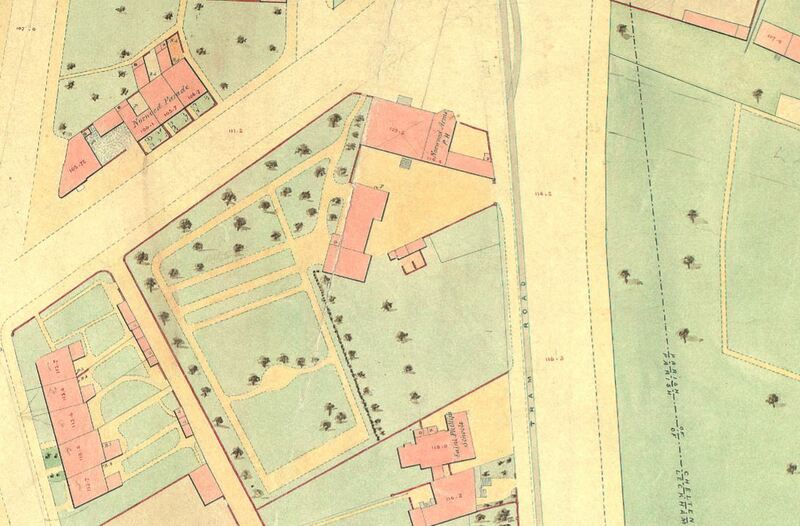 The Town Council started to discuss the merits of installing public toilets near to the Norwood Arms in about 1912. 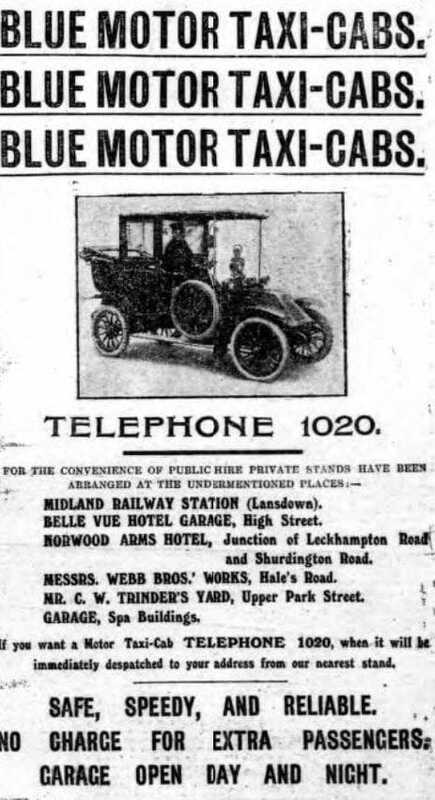 The war intervened and this plan only came to fruition in 1927, when both ladies' and gentlemen's toilets were excavated and installed under the pavement in Leckhampton Road, at an estimated cost of £804. This seems expensive, considering that in the same year the council was contracting to build complete houses for only £475. These toilets were closed in about the 1970s. 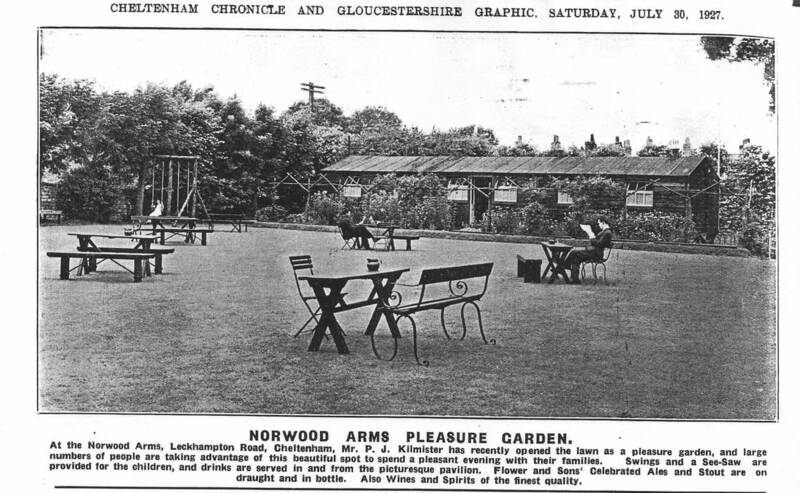 ​In 1927 the Norwood Arms was pleased to announce the opening of a new pleasure garden. This may have signified the end of the bowls club, as it received no further mention in the local press after this time. However the pavilion was retained for serving drinks. Cheltenham Operatic and Dramatic Society made the Norwood Arms their home in the 1930s and used a hall at the Inn for their rehearsals. After an interruption caused by World War II, the society resumed its activities in the late 1940s. With the outbreak of war in 1939 came a spate of accidents during the blackout at the Norwood Arms traffic island, including at least two fatalities. Also, in April 1940, a travelling van was stationed in the pub car park showing films in support of the War Savings Campaign. Among other activities, the pub collected money towards the Gloucestershire Echo Cigarette Fund for the troops. In October 1942 it was reported that Reginald Holder, a Gunner in the Royal Artillery and former bar man at the Norwood Arms, had been wounded whilst serving in the Middle East. 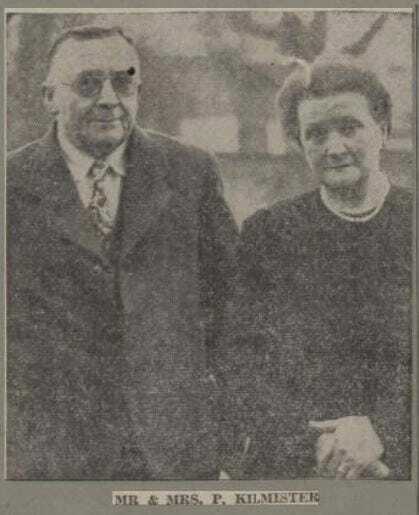 In 1949 Percy Kilmister retired as the landlord of the Norwood Arms after 30 years. He had started working for Flowers and Sons brewery in 1897, following his father into the company. He was presented with a clock by Flowers and also with a number of gifts by his customers. Percy was succeeded here by his son-in-law Mr William Hess.